It's been 3 years since I took the NAPC development team back under my wing. In that time we've rewritten our products, gotten amazing results for our customers as well as record sales, added new resellers, and had a huge surge in our market share as people have come to realize the NAPC difference. Here's a quick review of what's been going on behind the scenes. I was going to make a fancy timeline, but we did so much so quickly I just couldn't wrap my mind around how to show it graphically. Yes! 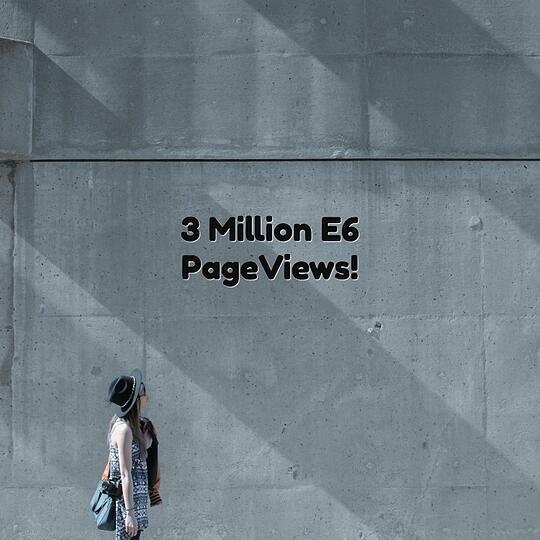 We hit the 3 Million mark for E6 usage! We rebuilt product licensing from the ground up, planned out self installers and autoupdaters, automated version tracking of customer code, and about a bazillion other things you never see. Why should you care? We cut about 2.5 man weeks of labor a month when we were done. That's time we can perform QA, Document, and Code. The things that matter to YOU. We dove into the products- how they were used, and what could they become? We spoke to every customer, and discussed where we were heading. Some of these sessions got downright electric, as folks got what we were thinking, and the ideas were flying back and forth. A TON of where we are now came from that, so give yourselves a golf clap if you're one of the 200 or so folks I spoke with. The list goes on and on. I was looking over my contemporaneous notes, and the thing that stands out is your desire to be part of the process, and help us to help you. We dove into wireframing, blueskying, and figuring futures out as we were also doing final bug fixes for our existing suite. The developers mandate was to squash bugs, not put some scotch tape over 'em. After numerous insurrections were put down, this really started paying off. Again, the time we saved here allowed us to do what YOU care about, delivering amazing new tech that makes your worklife easier, better, and simpler. Since we live and breath Agile, we started releasing code. First out the gate was the basics, with a couple ooh-ahh factors. 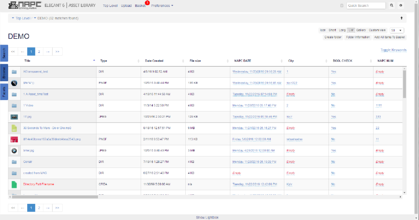 Then we started adding in functionality as the market demanded. Turns out we're not mind readers, and things that seemed important to me no one else cared about. Alternatively, things that felt 'buried away' were actually key to production. Agile lets us react immediately as demand changes and evolves. Hey, did I tell you we do agile? Oh, and of course we started a formal Beta program, so users could get in early. 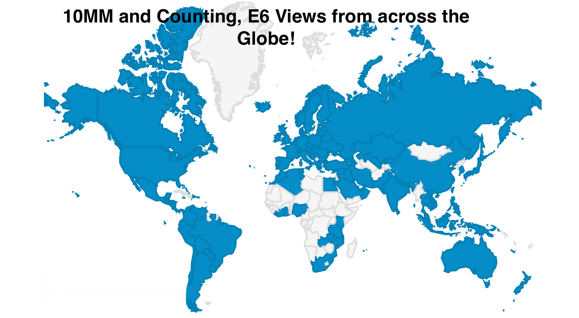 I cannot thank the early adopters and Beta testers enough. 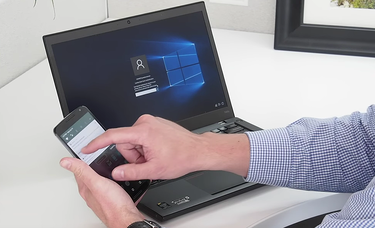 Power users helping deliver powerful, rock solid features. On a whimsical note, the developers made a video, showing the lighter side of the last 3 years :) We all love this stuff! I'd like to personally thank everyone involved, from the customers, to the developers, to the NAPC employees who made this possible. We have a great team, one I'm incredbly proud of. 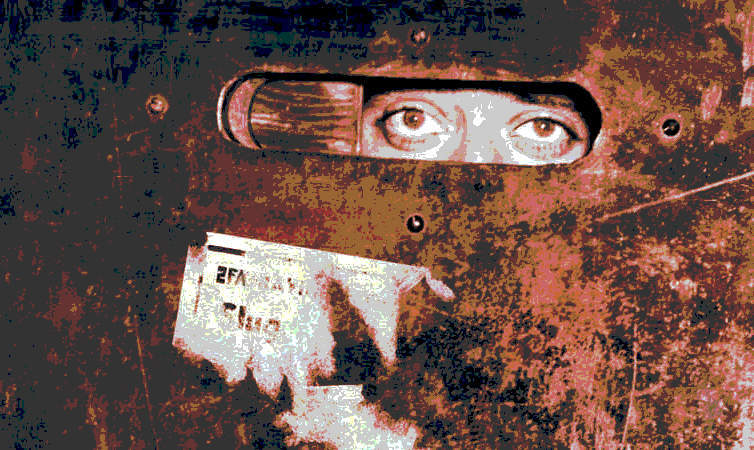 Since you made it allll the way to the bottom, click this link if you want to beta our rewrite of CreativeBanks- CB5. We now give you a single interface to create and brand sites - CB5 is built into E6, so there's only one place to go. Fewer buttons, far less bouncing between screens, this cuts about 50% of deployment time from what's needed to rollout a landing page/E6 site. Julius Caesar wrote the famous "Veni. Vidi. Vici." [ I came; I saw; I conquered. ] in a letter to the Roman Senate around 47 A.D. Today, I've modified the statement, replacing Vici with Probi. I came; I saw; I approved. You've got the industry's most popular Digital Asset Management platform: Xinet™. 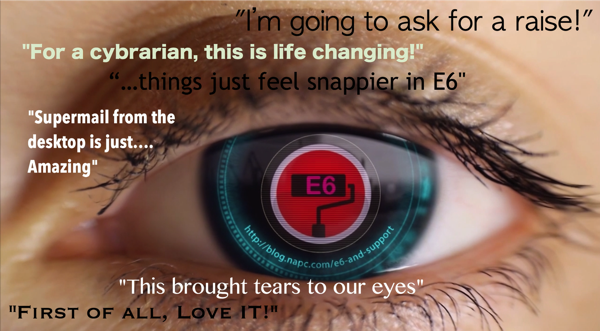 You've got the industry's best interface/toolset for Xinet: Elegant 6. So, what is your department/organization missing? An integrated softproofing solution that humbles even the most demanding of approval cycles. I'd like to introduce Production Central™, the Xinet plugin that transforms your already potent production platform into a professional proofing portal. With Production Central, the proofing and approval process couldn't be easier or more flexible. And you guessed it, the Production Central plugin is engineered for your E6-driven production environment ! 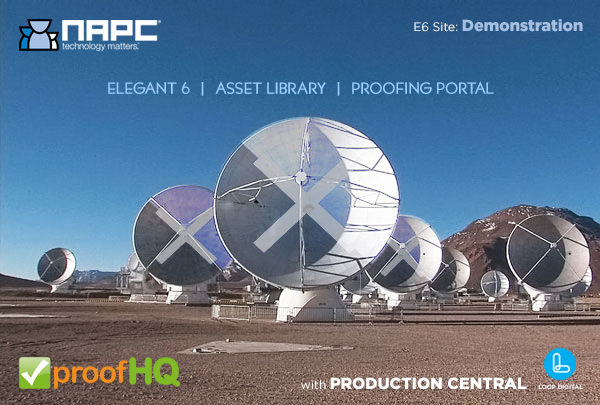 Production Central seamlessly joins E6 with proofHQ® to deliver an intelligent, enterprise-level softproofing solution. Infinitely configurable, Production Central leverages your existing [and future] job structure(s) to automatically generate and manage proofHQ proofs and send email notifications. 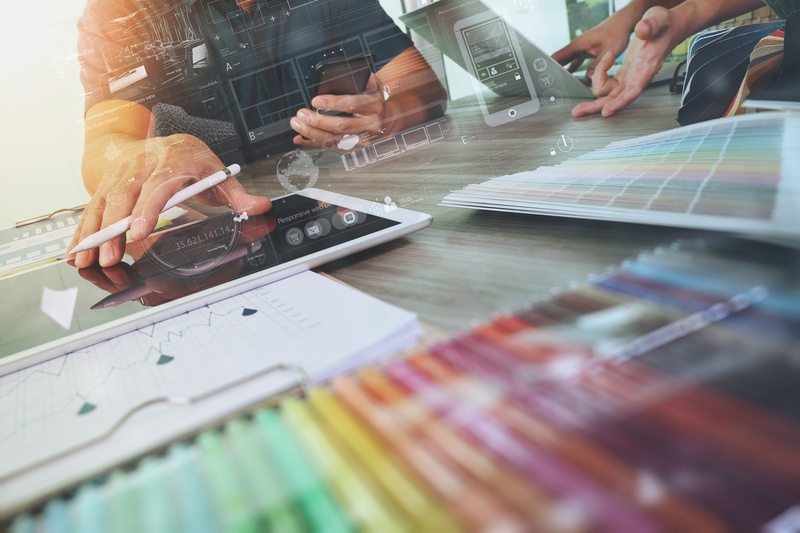 No matter your approval cycle's simplicity or complexity, Production Central facilitates real-time collaboration and status updates on every proof. The colorful, easy to interpret, Proofing Dashboard ensures that Reviewers, Approvers and Managers alike can, at a glance, see who has [or hasn't] Opened, Commented or made a Decision on every proof out On Approval. Need to add someone to the proof at the last minute? No problem. Need to modify the deadline? Click and reset it. How about corraling perpetual procrastinators? Production Central can automatically chase'em with time-sensitive, reminder email. Time for an immediate, executive decision? Make it and move on. Need to alert everyone assigned to the proof? Use a custom BUZZWORD in your proof comment to reach everyone. On the road? Approve, reject, mark-up on the go with the proofHQ app for smart phones and tablets. Production Central will empower your personnel without adding more work. Contact your NAPC Account Manager to schedule a Production Central demonstration, today ! 2 Million pageviews, and record E6 sales in 2016! We reached a milestone right before the end of 2016- 2 Million pageviews in E6, our Xinet interface!! Below is the top 1/2 dozen reasons to make the switch, and some ideas on how to get more out of E6 if you're already running it. 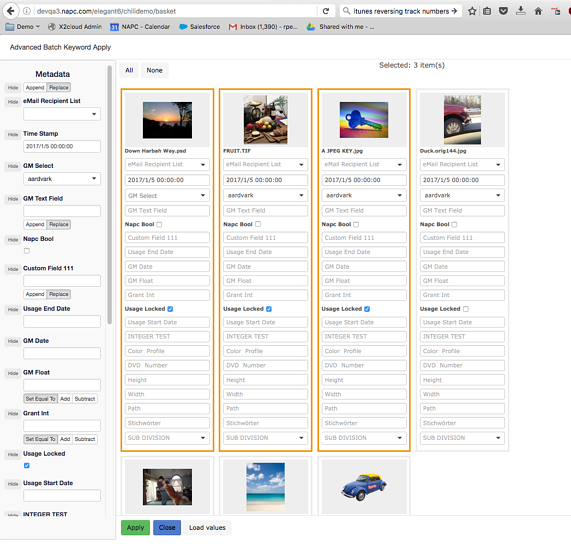 5) Drag-n-Drop File Management in the browser. 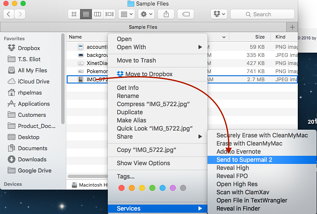 Move or copy files and folders from E6 with ease. No extra clicks, no 3 or 4 steps to get to where you need- drag 'em into the lightbox, navigate to their new home, and select copy or move. Done. #noway,yesway! Feedback and comments always welcome, the software is where it is mainly due to the vociferous, avid user base. Thanks to all for the tips, suggestions, and occasionally tough love!